Since the first MII Report was published in 1996, there have been many changes in the types and scale of challenges that industry and government are facing. For example, the deciphering of the human genome and the availability of molecular dynamics simulations are beginning to transform the pharmaceutical industry. These changes create new opportunities for graduates with backgrounds in the mathematical sciences and computational sciences. 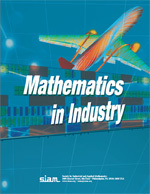 The 2012 report updates MII96 to take into account the changes in the types of industries that are hiring mathematical and computational scientists, the requirements for their jobs, the contributions they make as mathematical or computational scientists to their group’s tasks, and their work environment. It also discusses opportunities and challenges for the mathematical and computational sciences and makes suggestions and recommendations for matching higher education curriculum to the needs of employing institutions. The centerpiece of this report is a set of case studies from a variety of applications, including business analytics and optimization, manufacturing design and virtual prototyping, quantitative drug design, financial risk analysis, production planning and supply chain management, and information retrieval and data mining. These case studies are intended to be inspiring and informative for a wide range of readers: students wanting to know “What is mathematics used for, anyway?”, faculty seeking to understand how to prepare students for non-academic jobs, and mathematicians in industry who would like to explain the value of mathematical methods to their managers. SIAM Report on Mathematics in Industry 2012 brings together a lot of useful information not available elsewhere. Together with the SIAM Careers in Mathematics brochure, it serves as a helpful reference for just about any student or professional using mathematics. Acknowledgment: Funding for this report was provided by a grant from the U.S. National Science Foundation.